There are times when we are either angry or worried. There could be various possible reasons behind this psychological state of mind but this does affect the person physically. Anxiety might be the normal thing but then when people get excess of it, the body starts to get the adverse effects. Anxiety is a feeling of fear or worry. When a person is anxious he/she gets various feelings and thus several things happen in the body. If a person continues to be in this state of mind for a longer time than he/she develops various problems and illness. Let’s have a look at the possible problems that a body can get from anxiety. One of the initial physical problems that a person can face is the indigestion and the upset stomach. It happens as the nervous system gets out of balance. Thus, it would lead to the upset stomach either after the meal or at various several events throughout the day. As a person gets anxious, the mind gets affected. Due to this disturbed mind, a person would not able to sleep properly. His/her mind think various unnecessary things which would keep him/her away from a proper sleep. Gradually, this sleeping disorder could lead to various health issues. Anxiety can lead to a headache and even migraine. This happens as it leads to the stretched muscles in those areas and thus a person gets a headache. As mentioned above, muscle stretched can lead to pain this can happen at various parts of the body too. Anxiety creates problems in the muscles and then creates a tense in them which eventually leads to the pain. Anxiety directly affects the heart. When a person is anxiety, he/she would notice the increased heart beat. This could lead to various cardiovascular problems. If it stretches for a longer period of time than a person may even face heart attack and stroke. Those who are anxious would feel that they don’t have any energy in them. This is because their digestive system is affected which leads to the problems. Moreover, mentally they’re tired and worried due to which their body feels as if there is no energy left. 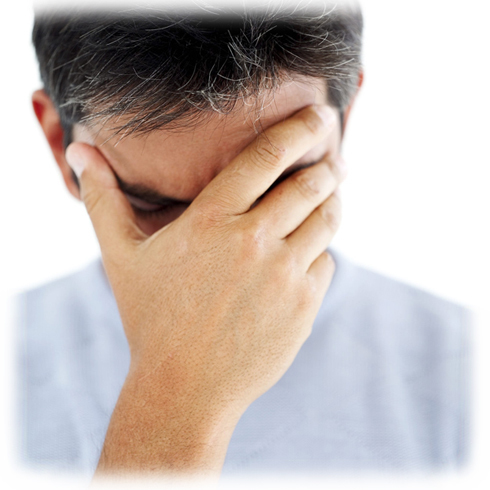 It is necessary that a person taken proper care of the anxiety and treat it before it start affecting the body badly. Following are some easy solutions to beat anxiety. 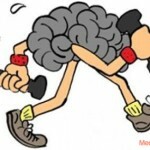 Exercising not only helps your body to stay fit but also helps you to calm your mind. Moreover, this releases chemicals which keep your body away from all the harmful and destructive chemicals which can affect your body badly. This is the best way to calm your mind. It is said that everyone should meditate every day so that the mind can be relaxed and a person would feel happy and full of energy. If your mind is relaxed then things get easier for you. The diet also helps a person to be fit and healthy; both physically and mentally. It is necessary that you eat a proper diet if you feel that you’re getting anxious. This way, your body would not get affected by the negative hormones which are being released due to anxiety. Moreover, these negative hormones would be controlled gradually. Often getting anxious is okay but when this is prolonged, it leads to trouble. It is necessary that a person takes proper care of the body as well as mind in order to keep him/herself away from the anxiety. Never take too much of tension or trouble. Take things lightly and follow the above mentioned solutions. Eventually, you would see the difference by yourself.